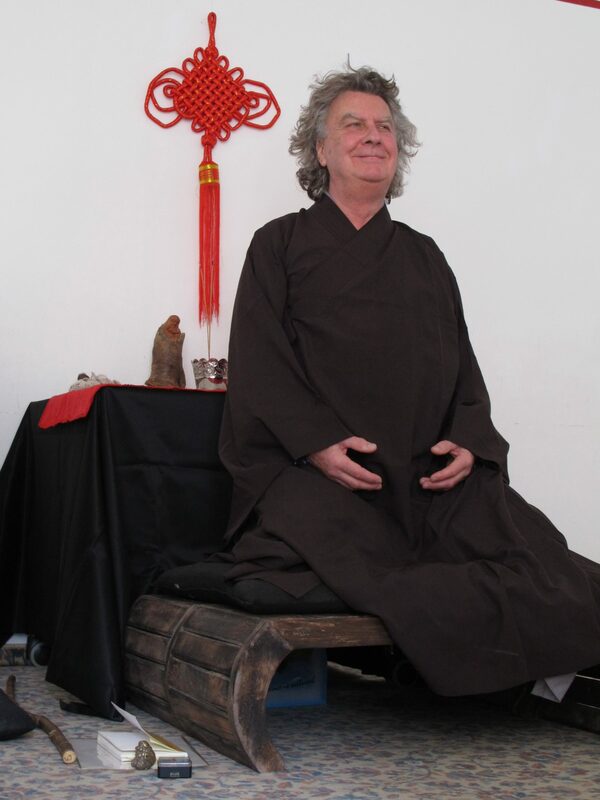 A Living Zen Master Shares: Connect to the One Self Within - Find the Seeker! This is the very first blog ever of Genro Xuan Lou, Laoshi, one of the few living Zen Masters and co-author of the recently published highly-acclaimed spiritual self-help book Find the Seeker (www.findtheseeeker.com; Amazon link: http://bit.ly/find-seeker). Turned off by the tools and techniques providing supposedly more “expertise” and the unhealthy propagation that “everything is possible”, a growing number of serious seekers are turning to the “non-body of thought” which people call Zen. This is a path for all people regardless of their faiths and confessions, for those looking for answers to existential questions, who want to find out who they really are, lead happier and more fulfilling lives, and experience serenity in the face of everything life throws at us. If we continue delving deeper and deeper into our intellects and minds, we will see that less and less comes out. If we know less and less about more and more things, we will remain on the periphery of life – instead of exploring the boundless resources of our spirit with the possibilities of meditation. Genuinely devoting oneself to meditation is a path which enables our full potential to be unfolded. The issue is not practicing a “barren” form of Zen in which one simply sits on a meditation cushion “staring at the wall, mindlessly like cattle.” The issue is also not wanting to achieve enlightenment. This is already present and has been from time immemorial. What we actually want is to wake up from our slumber, which we find ourselves in thanks to our conditioned, dualistic and judgmental thinking. How would it be if you could immerse yourself in a world of tranquility based on no-thinking, and your brain could relax and recover like the body when it is resting? This would not only be good for improving your intellectual performance and productivity. It is about going to where logic no longer determines and defines everything by itself. Above all, you can see that spontaneity and creative processes are aroused when the inner dialogue in you is stopped. The unthinkable in you can only develop if you do not get in the way – and if you learn to put an end to the gossipy and nagging thoughts and delve into (your) pure Being. For this reason, the ancient masters say “First heal your mind! And then do what you want!” However, we are not talking about anarchy or selfish individualism but the clear awareness of what is. This reality is everywhere where you go, everywhere you stand, and also where you are now. It is true joy. But how can we find this genuine joy and bliss? By fully and without reservation (re-) connecting to the original state of you mind, to the true Self – here and now. However, if you approach it with a tense and overly serious attitude like that of the pallbearers at a funeral, you are doing the wrong thing. The fact that you are attached to and carry all kinds of futile, burdensome things with you means you continually create lots of attachments. The challenge is to become alert and mindful and free yourself from all this conditioning and attachments. Suffering does not come from the outside. Suffering always come from within as our reactions to what happens or what we perceive. The impermanence of everything pleasant which you experience in this world can only stop causing suffering in you if you are stop being attached to these things. This becoming self-less enables a truly happy state of Being, a fulfilling togetherness and a truly new concept for ecology, economy and being human. Zen is authentic experience. The autonomous compulsion to think means we live in a state of separation in a world full of problems and conflicts. It is like the dog in the room of mirrors. He only sees his own projections, and he reacts full of aggression and fear. We identify so much with the mind that you do not even realize that has enslaved you. Because you identify with the mind, you derive your feeling of self-esteem from it and fear you will not exist if you stop thinking. What Zen is about is breaking through this self-produced vicious circle through achieving mental and spiritual clarity. Zen is not about thinking or intellectual speculation based on differentiating, distinguishing and duality, but is “pure experience” and is thus a question of inner awareness. Zen is not a religion among many others, but to the largest possible extent the basis of religions. Zen opens the eyes of people for the big mysteries of the universe. It gives us access to the inner space, which reveals itself to us in its boundless, endless and timeless eternity outside of our dimensions. Zen cannot be explained. You can realize it and meditation has the wonderful effect of something to be experienced. You can enter into the truth of Zen at any moment. Zen and its meditative exercise Za-Zen makes it possible for the reality within you to be directly experienced by in-depth meditative immersion. When it has been found, you will dance with joy and bliss, and are whole by nature. Za-Zen, simply sitting, counting your breaths, sitting soon without thought, only letting gravity work on you, does more than just heal psychosomatic disorders in a momentary awareness of Absolute Being. The possibility to have this experience is to unconditionally devote ourselves to meditation and thus to return to our center. The great scientist Konrad Lorenz once said, “I have found the missing link between the higher ape and civilized man. It is we.” If humanity finally wants to be “human” in the third millennium after Christ, coming generations will still have the opportunity to realize bliss. However, if we persist in our blindness, delusion and deep unconsciousness, and are not able to fulfil our mission, then matter and energy will be wasted, become contaminated and rob us of our basis for existing.